Founded on December 4, 1906 by 7 young men attending the predominantly white college of Cornell University in Ithaca, NY, Alpha Phi Alpha Fraternity, Inc. prides itself in manly deeds, scholarship, and love for all mankind. Alpha Phi Alpha Fraternity, Incorporated was the first Black Greek Letter organization established for collegiate black men. The fraternity has become a pillar worldwide with prominent members such as Dr. Martin Luther King, Jr., Cornell West, Hill Harper Frederick Douglas, Olympian Jesse Owens, Duke Ellington, and many more. UCF was graced with the presence of this great fraternity on June 16, 1979. Organization Motto: "First of All, Servants of All, We Shall Transcend All"
​The Lambda Omega Chapter strives for excellence, making sure that the cream of crop is accepted. 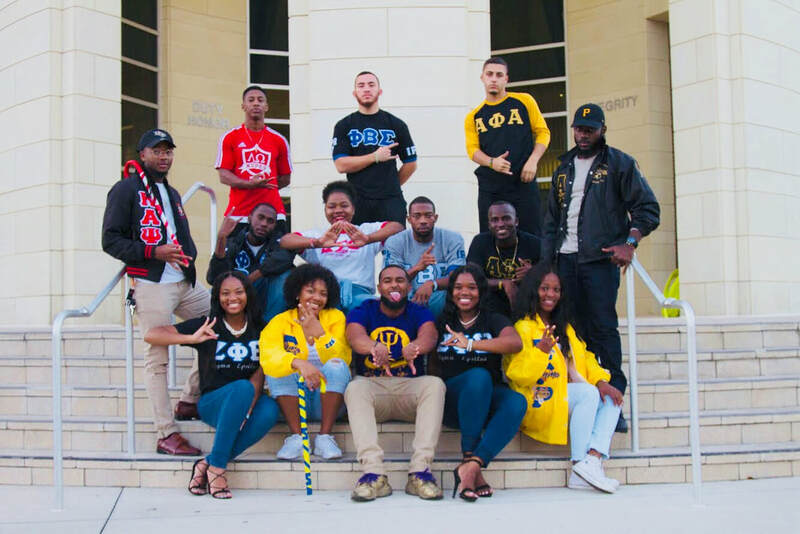 The members of Lambda Omega have achieved in professions such as engineering, IT, Criminal Justice, entrepreneurship, and many other aspects of life. 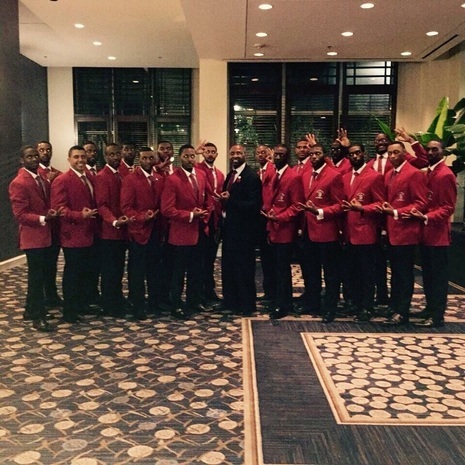 The Lambda Omega of Kappa Alpha Psi is a powerhouse chapter whose members have held various campus leadership roles which include founding the Men of Integrity, Stroll Show Champions, previous and current Presidents of multiple organizations on campus such as Alpha Kappa Psi Professional Business Fraternity, MOI, and the Jamaican Student Association. Members of this Chapter also currently serve on the Executive board of NPHC as Vice President and Treasurer. The Lambda Omega Chapter has had and continues to have a presence in the community including assisting and maintaining the Orlando Kappa League within the Jones, University and Evans High Schools. The Chapter also has several notable members such as Brandon Marshall- Current NFL player, Jamar Newsome- Former NFL player, Charles Lee- Former NFL player, Serge Joachim- Former NFL player. The Lambda Omega Chapter of Kappa Alpha Psi continues to be a symbol of excellence since 1984. Organization Motto: "Achievement of Every Field of Human Endeavor." ​The Omega Psi Phi Fraternity Incorporated was founded on November 17th, 1911, on the campus of Howard University by three undergraduate students and one faculty advisor. These outstanding men selected “Friendship is essential to the soul” as the fraternity motto, from which the name Omega Psi Phi was derived. 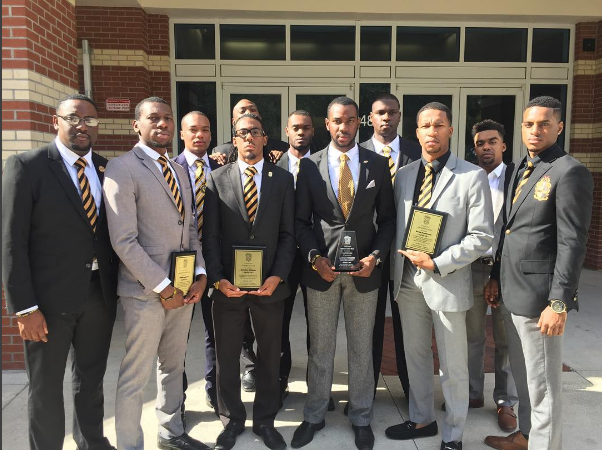 This fraternal organization adopted Manhood, Scholarship, Perseverance, and Uplift as cardinal principles. Outstanding brothers of this fraternity include Langston Hughes, Steve Harvey, Rickey Smiley, Michael Jordan, Jesse Jackson, Dr. Charles Drew, and Dr. Ronald E. McNair to name a few. 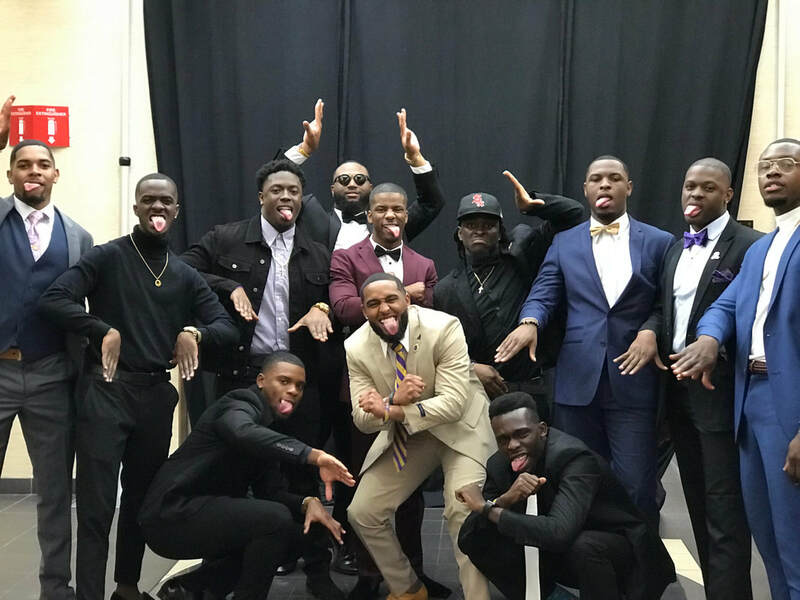 The Chi Tau Tau Chapter of Omega Psi Phi Fraternity Incorporated, was chartered on the campus of the University of Central Florida on September 1st, 2005. On January 13, 1974, a group of women met with representatives of Florida Technological University (UCF’s former name) to determine which National Black sorority to affiliate with. By a majority vote meeting attendees decided they would affiliate with Delta Sigma Theta Sorority Incorporated. On May 16, 1975 the Mu Iota chapter of Delta Sigma Theta Sorority Inc., was chartered as the first black greek lettered organization of any kind on UCF’s campus. Organization Motto: "Intelligence is the Torch of Wisdom." On June 8, 1978 the "Immortal" Iota Rho Chapter of Phi Beta Sigma Fraternity, Incorporated was chartered on the campus of Florida Technological University and have ever since continued to leave an untouchable mark on the University of Central Florida campus. Over the past 38 years of our chapter's existence, our brothers have effortlessly and continuously paved ways to exemplify the high ideals of Brotherhood, Scholarship, and Service. We work diligently everyday to make our collegiate and Orlando community stronger by embodying our motto "Culture for Service and Service for Humanity". Within the past year, we have had 10 brothers receive either Bachelor's or Master's degrees, earned the highest GPA among all fraternities in the Fall 2015 academic term, earned a 5/5 star ranking by the Office of Fraternity and Sorority Life at UCF, and donated over $1600 back to the UCF community all while increasing our amount of membership. Organization Motto: "Culture for Service, Service for Humanity." ​The Sophisticated Sigma Epsilon Chapter of Zeta Phi Beta Sorority Incorporated graced the UCF campus on April 5th, 1978. For over 30 years, these lovely ladies have been leaving a lasting impression on the UCF Community. 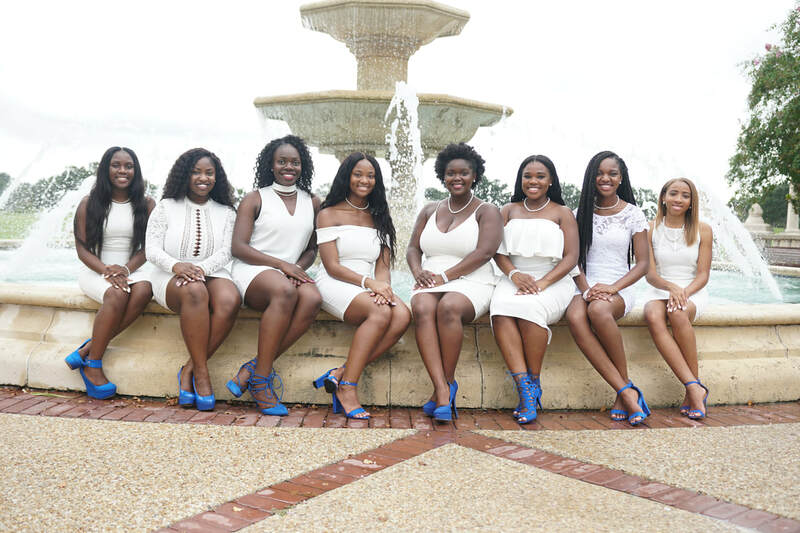 They take pride in founding many organizations such as the UCF Chapter of the Black Female Development Circle, Inc. and John T. Washington Honor Society. Sigma Epsilon women have been instrumental in starting events at UCF such as the Black History Brain Bowl Competition. Zeta women are not only hard working for Zeta but their talents are shared with organizations at UCF and in the Orlando community. 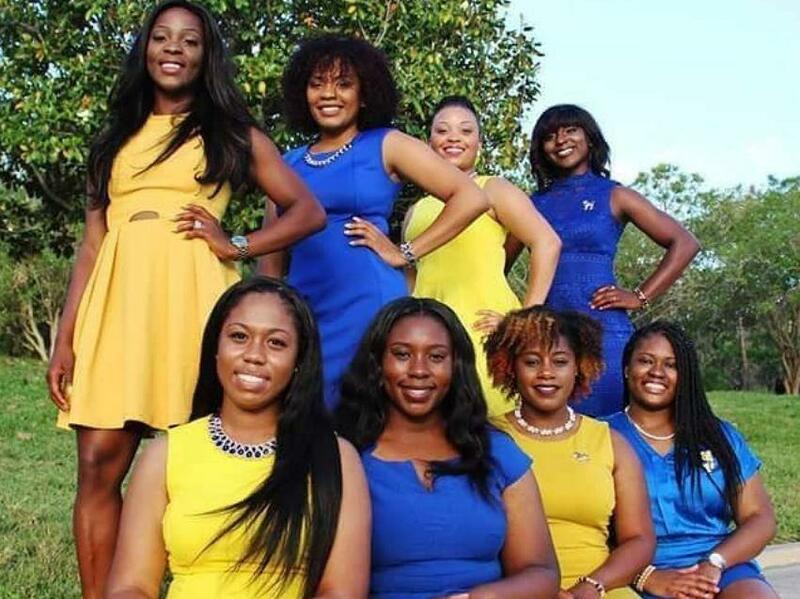 The Lambda Mu Chapter of Sigma Gamma Rho is home to dynamic young women that possess poise, creativity, class, and the courage to dare to be different. This chapter takes on many opportunities and endeavors with excellence in mind and the spirit of Sigma Gamma Rho at heart. We look forward to becoming a household name when it comes to uplifting our youth and empowering women through workshops, symposiums, events and programs that will encourage them to look within themselves to be the best they can be! Organization Motto: "Greater Service, Greater Progress"